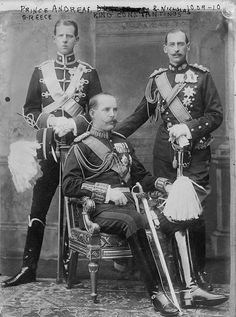 Prince Andrew of Greece and Denmark was bornon February 02, 1882 in Old Royal Palace, Athens, Greece, Greek, is Son of King of Greece and Denmark, King George I. 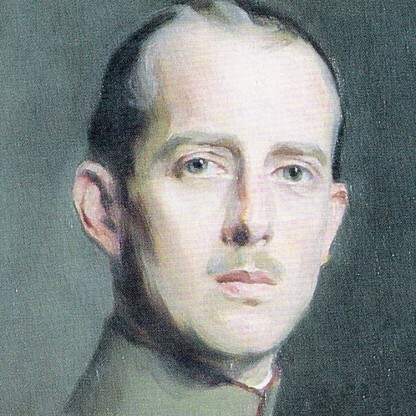 Prince Andrew of Greece and Denmark was born in Athens, Greece, as the fourth son and seventh overall child of the King of Greece and Denmark, King George I. 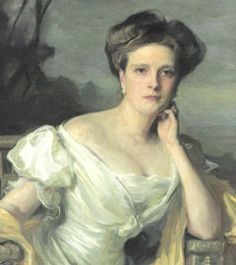 His mother was a Russian royal, Olga Constantinovna. Prince Andrew was much lower in the line of succession for the royal throne and he started his career with a position in the Greek army and saw action during the Balkan wars at the age of 30. The uprising caused much harm to Greece and his father, King George died in 1913. After the death of his father, his elder brother Constantine became the king. But Greece’s stand in the World War I was heavily criticized by the local public and politicians, which saw the possible dangers to the lives of royal family, resulting into their exile from Greece. Somehow, he came back, but the political turmoil forced him on another exile in 1922, and he remained in France for the remainder of his life. 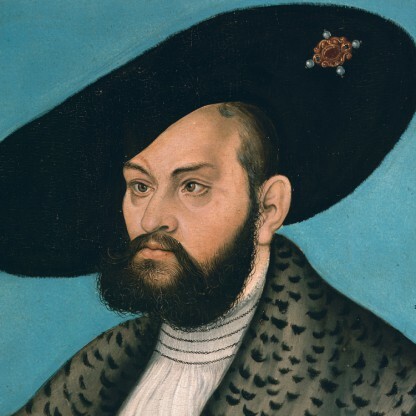 His marriage with Princess Alice of Battenberg was also quite controversial. Andrew died in 1944 in Monte Carlo, separated from his entire family. 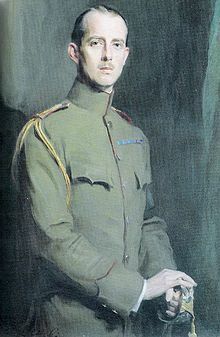 Prince Andrew was born at the Tatoi Palace just north of Athens on February 2, 1882, the fourth son of George I of Greece. He was taught English by his caretakers as he grew up, but in conversations with his parents he refused to speak anything but Greek. He also spoke German, Danish, Russian, and French. He attended cadet school and staff college at Athens, and was given additional private tuition in military subjects by Panagiotis Danglis, who recorded that he was "quick and intelligent." He "became quite friendly" with fellow student Theodore Pangalos. Despite his short-sightedness, Andrew joined the army as a cavalry officer in May 1901. 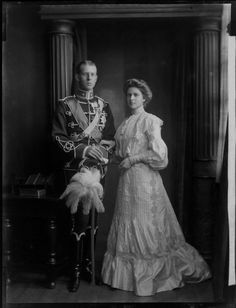 In 1902, Prince Andrew met Princess Alice of Battenberg during his stay in London on the occasion of the coronation of her grand-uncle and his aunt&apos;s husband, King Edward VII, in London. 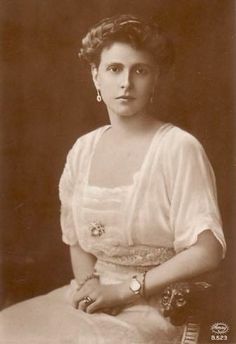 Princess Alice was a daughter of Prince Louis of Battenberg and Princess Victoria of Hesse and by Rhine. 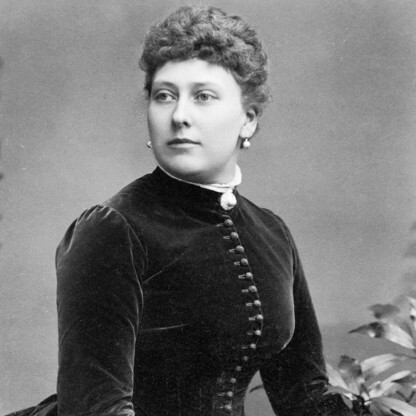 They fell in love, and the following year, on 6 October 1903, Andrew married Alice in a civil wedding at Darmstadt. The following day two religious wedding services were performed: one Lutheran in the Evangelical Castle Church, and another Greek Orthodox in the Russian Chapel on the Mathildenhöhe. In 1909, the political situation in Greece led to a coup d&apos;état, as the Athens government refused to support the Cretan parliament, which had called for the union of Crete (still nominally part of the Ottoman Empire) with the Greek mainland. A group of dissatisfied officers formed a Greek nationalist Military League that eventually led to Prince Andrew&apos;s resignation from the army and the rise to power of Eleftherios Venizelos. A few years later, at the outbreak of the Balkan Wars in 1912, Andrew was reinstated in the army as a lieutenant colonel in the 3rd Cavalry Regiment, and placed in command of a field hospital. During the war, his father was assassinated and Andrew inherited a villa on the island of Corfu, Mon Repos. In 1914, Andrew (like many European princes) held honorary military posts in both the German and Russian empires, as well as Prussian, Russian, Danish and Italian knighthoods. He began military training at an early age, and was commissioned as an officer in the Greek army. His command positions were substantive appointments rather than honorary, and he saw Service in the Balkan Wars. In 1913, his father was assassinated and Andrew&apos;s elder brother, Constantine, became king. 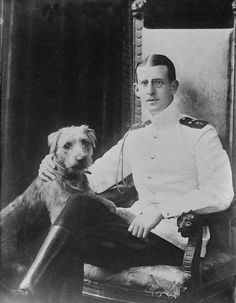 Dissatisfaction with his brother&apos;s neutrality policy during World War I led to his brother&apos;s abdication and most of the royal family, including Andrew, was exiled. On their return a few years later, Andrew saw Service in the Greco-Turkish War (1919–1922), but the war went badly for Greece, and Andrew was blamed, in part, for the loss of Greek territory. He was exiled for a second time in 1922, and spent most of the rest of his life in France. During World War I, he continued to visit Britain, despite veiled accusations in the British House of Commons that he was a German agent. His brother, King Constantine, followed a neutrality policy, but the democratically elected government of Venizelos supported the Allies. By June 1917, the King&apos;s neutrality policy had become so untenable that he abdicated and the Greek royal family were forced into exile. 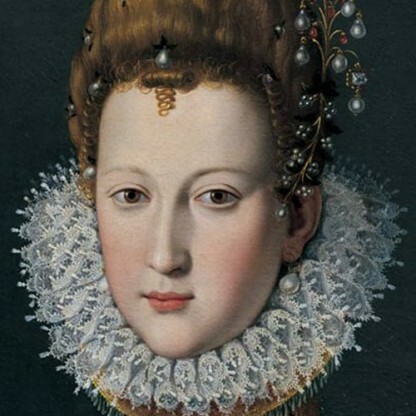 For the next few years, most of the Greek royal family lived in Switzerland. Andrew was given command of the II Army Corps during the Battle of the Sakarya, which effectively stalemated the Greco-Turkish War (1919–1922). Andrew had little respect for his superior officers, whom he considered incompetent. On 19 September 1921, Andrew was ordered to attack the Turkish positions, which he considered a desperate move little short "of ill-concealed panic". Refusing to put his men in undue danger, Andrew followed his own battle plan, much to the dismay of the commanding general, Anastasios Papoulas. Relieved of his chief of staff, and given a dressing-down by Papoulas, Andrew offered to resign his command but Papoulas refused. The Turks attacked and Andrew&apos;s troops were forced to retreat. Andrew was placed on leave for two months, until he was transferred to the Supreme Army Council. In March 1922, he was appointed as commander of the V Army Corps in Epirus and the Ionian Islands. 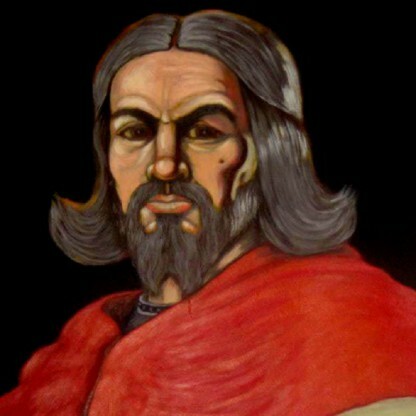 Papoulas was replaced by General Georgios Hatzianestis. The Greek defeat in Asia Minor in August 1922 led to the 11 September 1922 Revolution, during which Prince Andrew was arrested, court-martialed, and found guilty of "disobeying an order" and "acting on his own initiative" during the battle the previous year. Many defendants in the treason trials that followed the coup were shot, including Hatzianestis and five senior politicians. British diplomats assumed that Andrew was also in mortal danger. Andrew, though spared, was banished for life and his family fled into exile aboard a British cruiser, HMS Calypso. 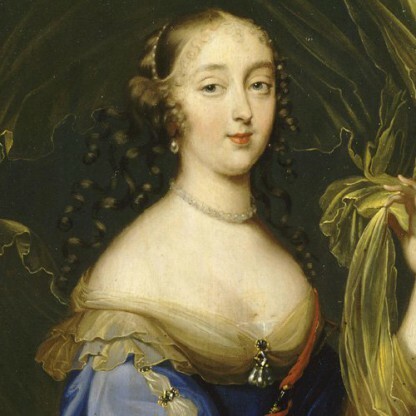 The family settled at Saint-Cloud on the outskirts of Paris, in a small house loaned to them by Andrew&apos;s wealthy sister-in-law, Princess George of Greece. In 1930, Andrew published a book entitled Towards Disaster: The Greek Army in Asia Minor in 1921, in which he defended his actions during the Battle of the Sakarya, but he essentially lived a life of enforced retirement, despite only being in his forties. 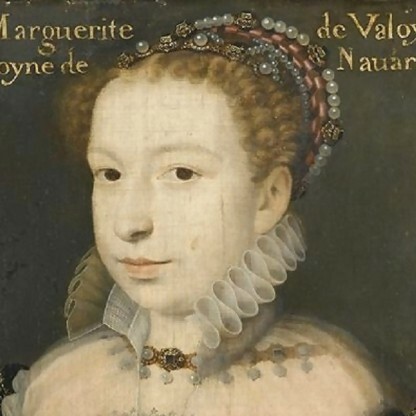 During their time in exile the family became more and more dispersed. Alice suffered a nervous breakdown and was institutionalized in Switzerland. 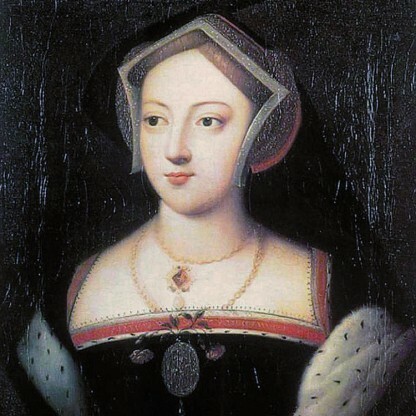 Their daughters married and settled in Germany, separated from Andrew, and Philip was sent to school in Britain, where he was brought up by his mother&apos;s British relatives. Andrew went to live in the South of France. 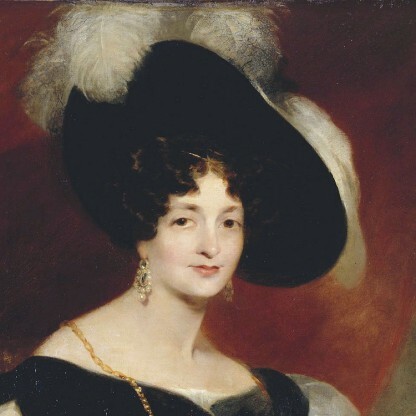 On the French Riviera, Andrew lived in a small apartment, or hotel rooms, or on board a yacht with his lady friend, Countess Andrée de La Bigne. 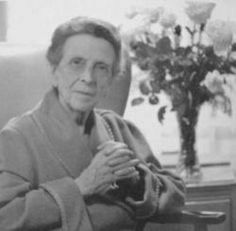 His marriage to Alice was effectively over, and after her recovery and release, she returned to Greece. In 1936, his sentence of exile was quashed by emergency laws, which also restored land and annuities to the King. Andrew returned to Greece for a brief visit that May. 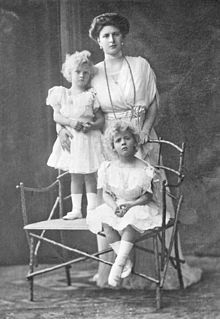 The following year, his daughter Cécile, son-in-law and two of his grandchildren were killed in an air accident at Ostend; he met Alice for the first time in six years at the funeral, which was also attended by Hermann Göring. At the start of World War II, he found himself essentially trapped in Vichy France, while his son, Prince Philip, fought on the side of the British. They were unable to see or even correspond with one another. Two of Andrew&apos;s surviving sons-in-law fought on the German side. Prince Christoph of Hesse was a member of the Nazi Party and the Waffen-SS. Berthold, Margrave of Baden, was invalided out of the Wehrmacht in 1940 after an injury in France. For five years, Andrew saw neither his wife nor his son. He died in the Hotel Metropole, Monte-Carlo, Monaco of heart failure and arteriosclerosis just as the war was ending. Andrew was at first buried in the Russian Orthodox church in Nice, but in 1946 his remains were transferred, by the Greek cruiser Averof, to the royal cemetery at Tatoi Palace, near Athens. 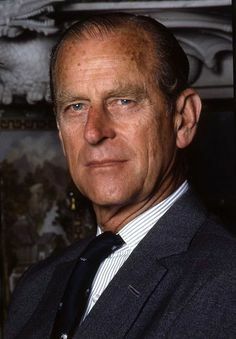 Prince Philip and then-private secretary, Mike Parker, traveled to Monte-Carlo to collect items belonging to his father from Countess Andrée de La Bigne; among these items: a signet ring which the Prince wore from then onwards, an ivory shaving brush he took to using, and some clothes he had adapted to fit him. 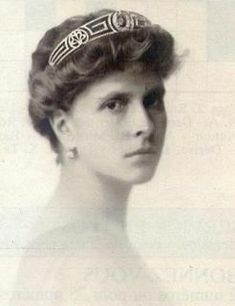 Prince Andrew left to his only son seven-tenths of his estate, but he left behind a debt of £17,500, leading Philip&apos;s maternal grandmother, Victoria, Marchioness of Milford Haven, to complain bitterly of the extravagance the Greek Prince had been led into by his French mistress.